Hoover Color and Ecoat have started a collaborative project to develop coatings formulations on the basis of environmentally friendly raw materials. In this project Hoover Color holds responsible for the pigments side, whereas Ecoat contributes the binder products. 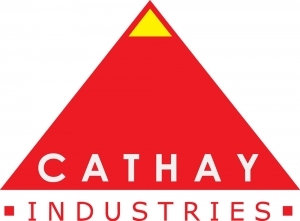 "Our target for this collaboration is to actively open up new markets for CATHAY’s product range in Europe and other regions that have a strong tendency towards environmentally friendly applications. As highly innovative industry partners, Ecoat and Hoover Color strengthen our performance driven by the intention to act in an environmentally conscious way", says Axel Schneider, CEO CATHAY INDUSTRIES Europe. 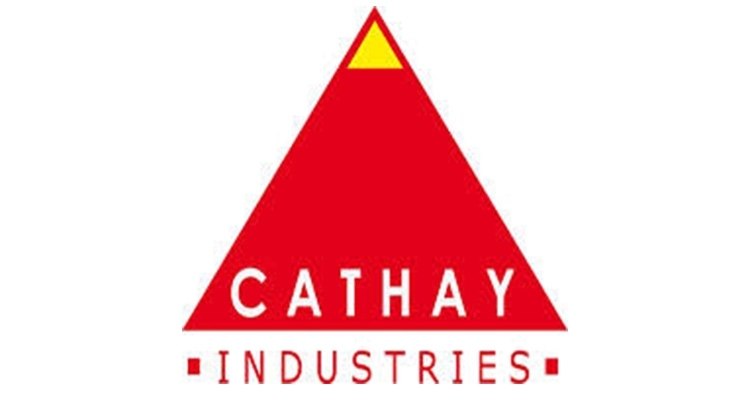 CATHAY's new American division Hoover Color is a pioneer in the field of sustainable pigments: The company is one of the market leaders in naturally occurring semi-transparent raw and burnt umbers as well as in eco-friendly transparent iron oxides for the paints and coatings industries. According to the slogan "making the world a cleaner place," Hoover Color recovers iron oxides from abandoned coal mining drainage and converts waste streams into transparent EnvironOxide pigments. Through this unique process, waste waters get purified and the solid substances are turned into high quality pigments. Application areas for EnvironOxide products are among others paints and coatings for wood and metals. Ecoat pursues a strategy similar to Hoover Color’s in order to develop binders for waterborne coatings. By using bio-based raw materials and designing production processes with significantly reduced energy consumption, the company develops and produces bio-sourced emulsions. The product range also involves functionalised emulsions with e. g. formaldehyde scavenging or self-crosslinking alkyd. For metal and wood care, Ecoat supplies alkyd urethane dispersions. The portfolio is completed by the full range of solventbased conventional as well as urethanized or thixotropic alkyd resins. “By developing colour formulations for our customer base, we are convinced to establish our portfolio more strongly in the market. 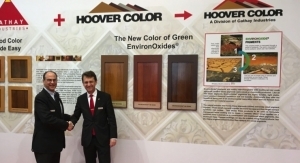 Hence we are pleased to be able to move ahead with Hoover Color as the ideal partner,” said Olivier Choulet, CEO of Ecoat. Developing alternative coatings formulations based on sustainable materials, Ecoat and Hoover Color raise the industries' awareness for a "green" approach. By providing the eco-friendly pigments of this joint project, CATHAY INDUSTRIES supports applicators in reducing their ecological footprint. 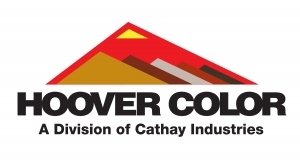 Hoover Color - A Division of Cathay Industries (USA), Inc.